Confession: I’ve never seen a full episode of Game of Thrones. 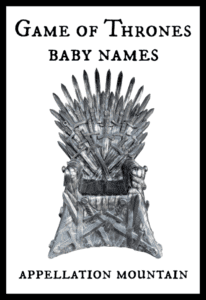 But you don’t have to be up on the many plot twists in the quest for the Iron Throne to know this: George RR Martin has created a sensational batch of Game of Thrones baby names. It’s not just Martin’s original novels, either. Some characters took new names on the series; a few are complete inventions for the HBO show. And the actors that brought the characters to life have boosted their own names, too: Emilia, Maisie, Kit. Does it go without saying that no name inspired by the series is all good? It’s a tale of political intrigue and broken alliances, deceit and manipulation. But some characters do emerge as more virtuous – or at least admirable. And we all know that plenty of bad guy names stay perfectly wearable, no matter how much we love to hate their characters. 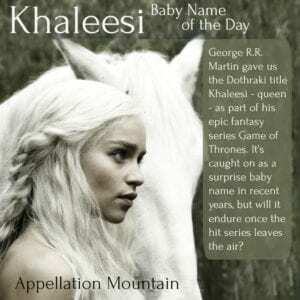 Let’s look at ten of the best potential baby names straight out of Westeros. Feisty Arya Stark is still a girl when the series opens, but she’s quick with a sword and skilled on a horse. 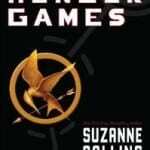 Over the the series’ run, she grows up – and proves herself just as dangerous as any player in the Game of Thrones. As for Arya, it’s a perfect-storm kind of name. The HBO series debuted in 2011, just a year after Pretty Little Liars boosted the musical Aria, which means song. The ‘y’ spelling is usually linked to the Persian – noble. Both spellings coincided with Ariana and Arianna – already Top 100 favorites. I’ve yet to write about Arya, but read more about Aria here. Martin invented some names, but he borrowed others. Bran Stark’s full name is the familiar Brandon. But Bran strikes a different note. In the series, an accident leaves Bran Stark unable to walk, but also pushes him to discover his prophetic abilities and other supernatural gifts. They prove essential in the battle for the Iron Throne. While Bran remains an unusual given name, plenty of Bran- names, old and new, remain quite popular in the US. I’ve yet to write about Bran, but check back and I’ll update when I do. This name claims history from the ancient world, including the Old Testament. But it’s also a Game of Thrones character, Ser Jorah Mormont. He’s cunning and brave, and loyal to Daenerys, one of the main contenders for the throne. While Mormont isn’t considered a major character, he’s appeared in every season so far. Given our affection for boy names ending with -a, Jorah fits right in, somewhere between Jeremiah and Noah. Read more about Jorah here. Strictly speaking, Khaleesi isn’t a name. 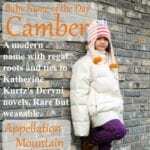 It’s a title, the rough equivalent of queen, worn by Daenerys Targaryen, following her arranged marriage to Khal Drogo, a warlord and ruler of the Dothraki. She’s timid in the beginning of the series, a bargaining chip. But she grows into a commander of armies, the fierce Mother of (yes, actual) Dragons. No surprise the title has interested parents. It helps that we’ve long loved three-syllable girls’ names, from Emily to Everly, Dorothy to Delaney, Kimberly to Khaleesi. Read more about Khaleesi here. It would be easy to miss the rise of Lyanna. Names containing the Lee and Anne sounds have been around for ages. Leanne peaked in the 1960s, but other spellings abound. Another member of the Stark family, known for her beauty. 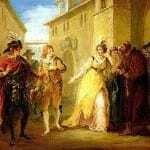 Her elopement and subsequent death set in motion many of the events of the series; in fact, the reveal of her child’s true identity is a key part of the series. But she’s seen only in flashbacks and mentioned by others. 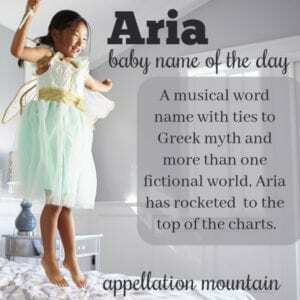 Still, the name fits with so many of our current favorites, from Lyla and Leah to Ariana. I’ve yet to write about Lyanna, but check back and I’ll update when I do. Ned is traditionally short for Edward; in Game of Thrones, it comes from the similar-but-not-the-same Eddard. It’s the name of the patriarch of the Stark family, a man known for his honestly and valor, and reluctance to engage in politics. It’s ultimately his goodness that leads to his downfall – this is Westeros, after all. While Ned and Eddard aren’t catching on with parents, I wonder if it’s enough to make more parents see the classic Edward with fresh eyes – and use this short form, rather than Eddie. I’ve yet to write about Ned, but check back and I’ll update when I do. Theon is a member of the Greyjoy family. He spends several seasons imprisoned and tortured, but ultimately escapes and proves himself loyal and heroic. It’s an ancient Greek name, from the root theos – god. I think it has potential because it shares that roots with stylish classic Theodore, and offers a different way to get to Theo. And while 23 births isn’t a huge number, it marks a new high for this name. I’ve yet to write about Theon, but check back and I’ll update when I do. Tyrion Lannister comes from one of the wealthiest, most powerful families in the series. But he’s a dwarf, unable to do battle in a culture that prizes military skill above all else. Instead, he’s known for his wit, but what’s often missed is Tyrion’s downright brilliance. His counsel shapes many of the key decisions as the series continues. Peter Dinklage plays the role, and has won multiple Emmys. As for the name, it could refer to Tyre, an ancient Phoenician city known for producing dye known as Tyrian purple – the color favored by kings. It brings to mind other three-syllable favorites for boys, like Julian and Adrian. I’ve yet to write about Tyrion, but check back and I’ll update when I do. In the original books, Yara was called Asha – but that was too close to another character’s name for the television series, so Yara she became. She’s a member of the Greyjoy family. Yara captains her own ship and leads an army. No surprise parents took notice. But the name also belongs to young actor Yara Shahidi of Black-ish and Grown-ish fame. It claims multiple roots, from an Arabic word meaning butterfly to a mermaid-like creature in the folklore of the Tupi people of Brazil. Read more about Yara here. 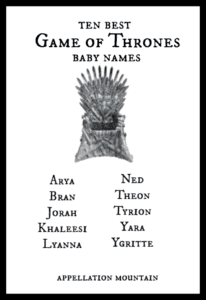 I can see the other nine names catching on, but Ygritte? It’s here just because I plain love it. It’s pretty and gruff, a name invented for the series. Ygritte is from the North, and her name brings to mind Scandi favorites like Ingrid. She’s a warrior, known as a capable archer, and becomes an important part of Jon Snow’s life. The name feels off-trend for today’s parents, and yet I find it intriguing, and the character as worthy a namesake as any in the series. I’ve yet to write about Ygritte, but check back and I’ll update when I do. Those are picks for the ten best Game of Thrones baby names. Tell me: what have I missed? (Or just plain gotten wrong?) Are there names you would add to this list? My guess is that Lyanna jumped in popularity more because of the feisty little girl Lyanna Mormont than Jon’s mother. Lyanna Mormont was named after Lyanna Stark. Thanks! I feel like i might need to watch just to get all of these details right … but, of course, I’ll never catch up before the ending! From this list, Jorah is my favorite. It’s not too crazy, and sounds like other familiar names, which gives it some definite appeal. Otherwise, I like Sansa a lot. It’s not as out-there as other GOT names, and, though I’d probably never use it, I think it could work well on a girl born today. Yup, exactly! Just like the bird. I like the name Jorah a lot, pretty much all because of the character. But two of my favorite characters, and very favorite names of the series, are Davos (Davos Seaworth) and Samwell (Samwell Tarly). I promised (threatened?) my husband that we’ll have pets named Samwell and Samwise someday.